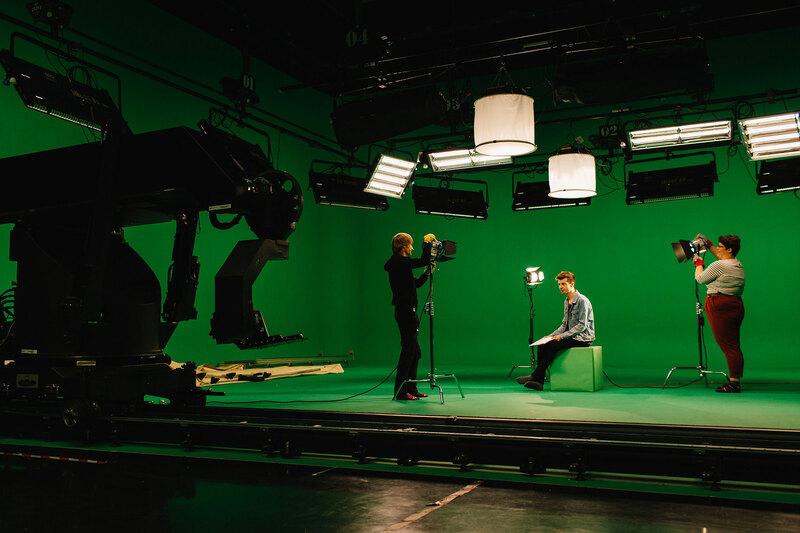 Want to study a Film Production degree? Explore the fundamentals of technology in film, from narrative, composition and film theory to camera testing, designing digital production workflows and post-production. 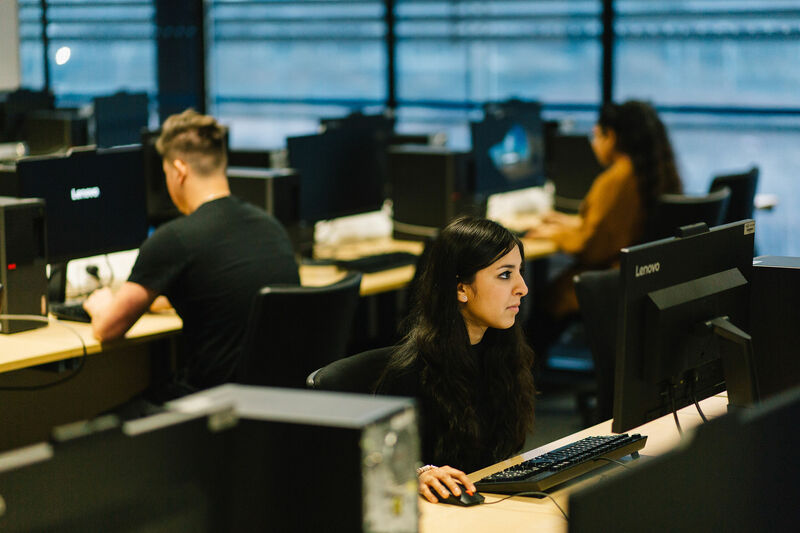 Like the film industry itself, BSc Film Production Technology enables students to exercise a broad range of technical and creative skills with the support of the university’s cutting edge facilities and software, including our Parkside Media Centre. The Film Production Technology degree course combines a study of audiovisual technologies and production processes, with contextual investigations and production experience. You’ll develop knowledge, understanding and skills relevant to the production of digital film content and to the wider film, television and video industries. You’ll focus on fundamental technical concepts, including the physics of sound and light being recorded during production (and the tools and techniques required to do this), as well as the technology used to digitally store and manipulate both images and audio in post-production. When you graduate, you will be versatile, technically literate, and creative: well-equipped to perform a variety of craft roles within film, television and video production and will bridge the gap between technology specialists and creative artists. Birmingham City University is a great place to study - the city has an active and accessible film-making community, and you will be studying in the same campus as undergraduates studying a range of arts, including acting, music, photography, fashion and theatre. You’ll also be encouraged to engage with industry, with a number of flexible paths to help you gain work experience, including: basing selected modules around work experience, taking a placement year and working on commercial productions within the University. The course definitely helped me with so many aspects of film and video production. From creating budgets for jobs, to understanding the technical functions of various cameras, right through to delivery formats for the projects. I certainly came out with a larger skill base and experience in filmmaking. The Centre for Digital Media Technology is equipped with over 1,200 sq m of dedicated facilities, including two film/television studios, four multi-track recording studios, post-production suites, a MILO motion control rig and several editing and grading stations. The course explores the fundamental technology and physics of film production, from working with light and sound, to understanding how different production and post-production tools affect the images and sound you capture. The course encourages you to engage with industry, allowing a number of flexible paths to gaining work experience, including: basing selected modules around work experience, taking a placement year and working on commercial productions within the University. 60 credits overall. Minimum of 45 credits at level 3. The remaining 15 credits can be taken either at level 2 or 3.. This module will develop understanding of key digital film production processes. You will be introduced to the tools of production, including sound recording equipment and video cameras. Through the application of a ‘flipped’ curriculum you will be encouraged to become an independent learner with an approach to production work that will be ‘hands on’ from the start. This creative and technical module is designed to provide you with the knowledge and skills to follow a path of further study in practical filmmaking. This module will develop your understanding of audio visual acquisition technologies for digital film production. The module addresses how images and audio are captured using sound and video recording equipment in a film production environment. You will understand the physical properties of sound and light and how these impact on the technology and use of film capture equipment. This module will introduce you to the technology, techniques and practical considerations involved in sound production for film and other visual media. The aim of the module is to familiarise you with the variety of possible procedures undertaken in the incorporation of sound with visuals to create a unified audio-visual experience. This module will develop your understanding of audio visual technologies in production. The aim of this module is to provide you with the knowledge and appreciation of fundamental principles and practices of audio visual technology. The module provides opportunities for intellectual and creative development through the application of technical knowledge, software systems and design principles to the creation of high quality digital film products. A range of participative teaching methodologies aim to provide an enjoyable and satisfying educational experience. This module investigates the process of screenwriting and provides opportunity for you to explore this process in preparation for your final year production. Furthermore, it contributes to development of the wider key skills required for employment, through in-class activities, assessments and background research. The program on which this module is delivered combine the study and usage of audio visual technologies and content management systems utilized in the creation of a range of content which can be delivered to a variety of platforms. As the Film and Television industries have moved to filebased workflows, new roles and practices have come into existence to manage data in reliable and consistent ways, and ensure the safe replication, storage and migration of the ‘digital negative’. This vital link between production and post is currently filled by increasingly skilled and knowledgeable crew members, for whom the title Digital Image Technician has been officially recognised. This module focuses on the post production element of filmmaking. Specifically areas concerning editing techniques, compositing, audio finishing, colour correction and grading to aid narrative. You will learn both the technical skills of audio and video editing as well as the grammar and structure that belong to the art in order to become better storytellers. Acting as an independent production team, this module seeks to develop these skills and further prepare you for the world of work. It provides opportunity to collaborate in a negotiated screen project that can range from a single-camera drama production, through to a small-scale film festival. However, the suitability of the project is key. This will be determined by a proposal-review-approval system, where the production ‘company’ will seek advice and development from an executive team in order to plan, organise and produce an artefact. On completion of this course students have continued on to study our MA in Film Marketing and Distribution. At course completion, there is a high level of interest for further study. This relates to the need to continue to research and practice, as a core activity, but also recognises statistical evidence that says that in 2014 the Department of Business, Innovation and Skills noted that someone with a Master’s degree earns on average £9,000 more per year than someone with a degree qualification, which, when coupled with the UK Commission for Employment and Skills (2014) observation that one in seven jobs will require a postgraduate qualification by 2022, the importance of postgraduate study to employability is increasingly significant. Alice Barlow, graduate of the Film Production Technology undergraduate degree course at Birmingham City University, was the winner of the School of Computing and Digital Technology prize at her graduation ceremony in 2014. When Josh Birch enrolled on a BSc (Hons) Film Production Technology course, he wasn’t sure of where the career path would take him. 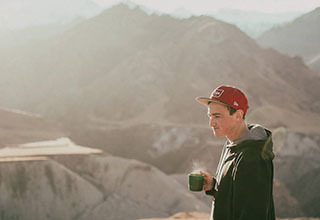 A year on after graduating, he has worked around the world and done some incredible filming. The course definitely helped me with so many aspects of film and video production. From creating budgets for jobs, to understanding the technical functions of various cameras right through to delivery formats for the projects. I certainly came out with a larger skill base and experience in filmmaking. When BSc (Hons) Film Production Technology student Andrew Bond started his studies at Birmingham City University, little did he know that it would lead to him being mentored by one of the UK’s most respected actors. He was chosen by Idris Elba, star of ‘Luther’ and ‘Mandela’, as his protégé for Samsung’s ‘Launching People’ project, which searched for the brightest young talent in the fields of food, film, music and photography. Engaging with industry and gaining work experience during your studies is essential if you are going to be taken seriously in the job market. Getting work experience in film production can be challenging, so we encourage you to be agile and help you engage with a board range of opportunities available. The second-year Collaborative Practice and final-year Production Project modules have been designed so that you can use your work in as a basis for the module’s assessment. “After graduating in 2015, I continued on to study Birmingham City University’s MA in Film Marketing and Distribution, while at the same time working as a runner on commercial productions for BBC, Sky, Channel 4 and at the University’s Parkside Media Centre. “Since then, I have completed numerous internships with the British film sales agents, where the knowledge I gained at Birmingham City University enabled me to experience a professional environment at the Cannes and Toronto film festivals and further develop my skills in film distribution, marketing finance. “I am now working for an American corporation in London, called Vubiquity. Vubiquity is the leading global provider of Premium Content Services. Working with nearly 650 leading film studios, television networks, independent producers and MCNs, the company brings premium content to over 1,000 global video distributors spanning 109 million households. "I truly believe that the knowledge and experience I gained from the course made all this possible." Graduates have gone for companies and such as ITV, Red Bull, Red Planet Pictures and work on productions for Working Title, Studio Canal, RDF Television, Objective Productions, Channel 4, Sky and Buffalo Pictures. Students from this course have also gone study at the National Film and Television School. The skills and knowledge you'll gain throughout the programme will allow you to tackle various jobs within the field. You'll have experience of using industry-standard large sensor digital camera rigs, with follow focus, matte box interchangeable lenses. The careers available to you after this course are vast and exciting. You will be skilled to take on a number of roles, film producer, film director, first assistant director, producer, production manager, production assistant, editor, camera operator, director of photography, lighting technician, production sound mixer and much more! You may also choose to take on or fixed roles, such unit manager, location manager, sound assistant, boom operator, screenwriter, script editor, script reader film distributor – the list really is extensive! Throughout will help you to nurture your own creative flair and personal interests, and guide you towards a working professional role. As an international student on this course you will benefit from studying alongside a diverse range of students, all with different backgrounds and experience. In addition to this the course is led by tutors with international experience. You will have the chance to draw upon the diverse cultures and wealth of experience from your fellow students, learning new skills and sharing your own knowledge. As an international student you will benefit from studying in close proximity to the UK’s diverse and continuously changing creative industries, and you are encouraged to engage and regularly network with these industries. Through practice-based teaching you will develop an in-depth understanding of digital media technology practices within the UK and further afield. You have the chance to earn while you learn, taking on various roles through the University’s in-house employment scheme: OpportUNIty. You will also be able to access personal and academic support services, as well as help and advice tailored specifically for you. Through an international orientation and welcome week you will be able to adjust to life within the UK, preparing you for your studies! Our students come from around the world, but our Film Production Technology course is particularly popular with students from Hong Kong and Eastern Europe. Cameras, light and grip equipment can be hired for free from our hires and loans team. 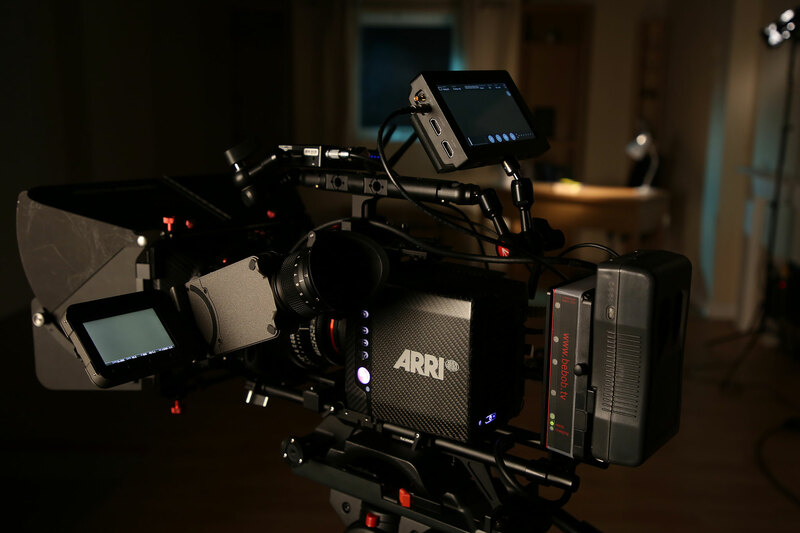 Equipment available includes: 4K cameras, high-end HD cinema style cameras with follow focus and matte boxes, a range of DSLR cameras, a range of different lights, soft boxes, flags, reflectors, a range of different tripods, stands, dollies, steady cams and jib arms. Within the Centre there is an internationally recognised research team, DMT labs, specialising in mixed reality, intelligent animation, automated grading and compositing and human perception. This research team is involved in the delivery of this course, providing opportunities to join them as a post-graduate researcher on completion of the course. Since 1997, Michael has been involved with Moving Image production as well as lecturing on a range of moving image courses (including the highly successful UK Film Council's Introduction to Screenwriting courses in the West Midlands region). Prior to his current responsibility as Course Director for Birmingham City University's BSc Film Production and Technology course, he previously taught in an Ofsted-rated 'outstanding' further education college.